Our attorneys provide comprehensive incubator fund formation services for clients throughout the United States. Our flat-fee incubator fund service includes turn-key preparation of all the needed formation documents, governing agreements and regulatory filings to operate an incubator fund. An incubator fund provides a cost-effective solution for an emerging manager to develop a marketable trading record and test performance before launching a fully-operative fund. During the incubator fund formation, we advise our clients on important aspects of transitioning to a fully operative domestic or offshore hedge fund to help them make key decisions. 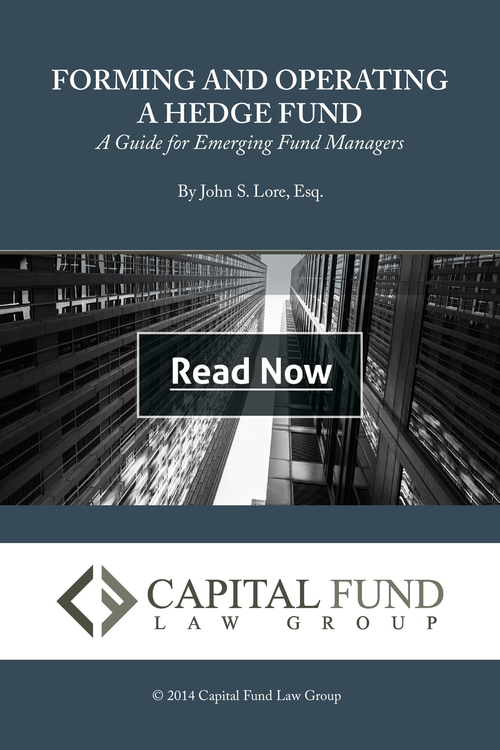 We also provide resources to help advise clients toward capital sources that we have found to be effective for emerging managers. Capital Fund Law Group advises hedge funds of all investment strategies and asset classes, including: long/short equity, fixed-income, arbitrage, global macro, managed futures, event-driven, multi-strategy, quantitative, and sector funds (including healthcare, technology, energy, and others). Forming & Operating a Hedge Fund |By John S. Lore, Esq. 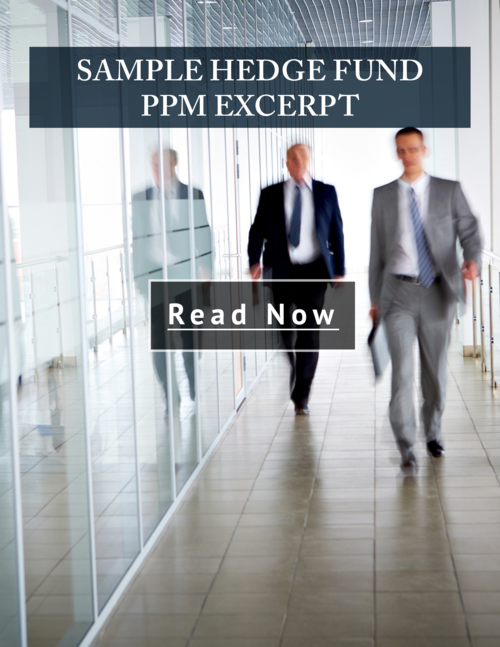 The excerpt also provides drafting tips, best practices recommendations, potential pitfalls and common mistakes in hedge fund PPMs. The fictitious feeder fund XYZ, LP is a domestic feeder fund to a Cayman Island master fund. Although the XYZ Feeder Fund, LP specifically uses a fixed-income arbitrage strategy, the explanations provide information that should be helpful to fund managers using any strategy. 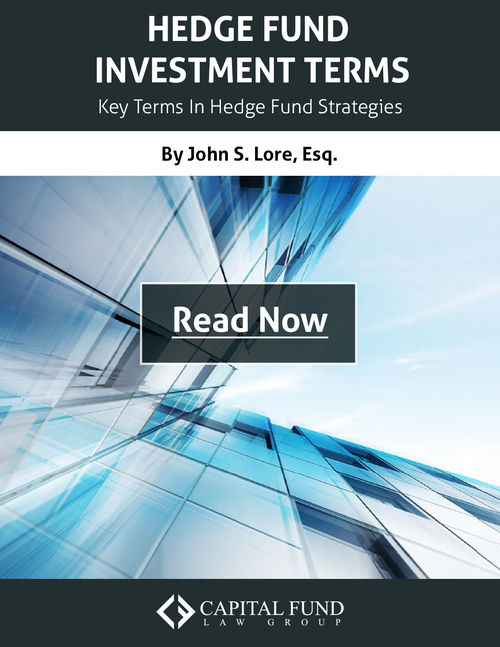 This white paper describes some of the most common hedge fund terms and how they apply to various hedge fund strategies. One of the most important aspects of forming a hedge fund is setting the terms of the investment. When properly structured, hedge fund offering documents contain terms that adequately protect the fund sponsor and are attractive to investors. Hedge fund terms are driven by the fund’s strategy, the market trends within the fund’s asset class and the particular needs and objectives of the fund. It is crucial that the investment fund legal counsel has an in-depth understanding of current investment market trends and how those trends affect the strategy the fund will employ.